Alan Walmsley, Assistant Chief Fire and Rescue Officer, Northern Ireland Fire and Rescue Service (NIFRS) and David Small, Chief Executive of the NI Environment Agency (NIEA), have jointly signed a reviewed Memorandum of Understanding (MOU) between the two organisations. The reviewed MOU, sets out how both organisations will continue to work in partnership and collaborate when addressing incidents that impact both fire and rescue services and the environment. Fires at waste sites, which can impact on water and air quality, wildfires impacting Northern Ireland’s renowned landscapes and fires due to accidents or malicious damage can cause disruption to local communities, local commercial interests and can cause damage to our valued environmental assets. David Small said, “The MOU outlines the strategic intention to work together, promoting collaborative and innovative working in respect to the protection of people and the environment from emergency incidents that may involve pollution or potential pollution of the environment; the release of radioactive substances; the movement, storage, treatment and disposal of waste and/or damage to the natural environment. Alan Walmsley said, “We are delighted to cement the excellent working relationship and collaboration that exists between the NI Environment Agency and NIFRS. 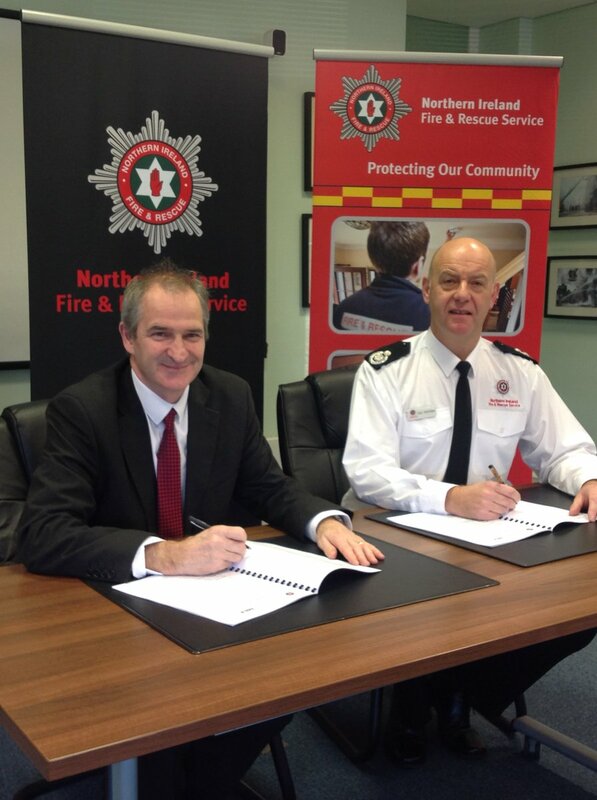 Today’s MOU signing reflects the work being done on a national level between the Environment Agency and fire and rescue services across the UK.